Philip Christopher: “As Cyprus becomes a much more important partner of the United States, the changes of removing the Turkish troops and ending the occupation become better. Greek-American and Cypriot-American leaders from across the United States representing major national and local organizations of the community will be gathering in Washington, DC for the 31st Annual Cyprus and Hellenic Leadership Conference June 3-5. 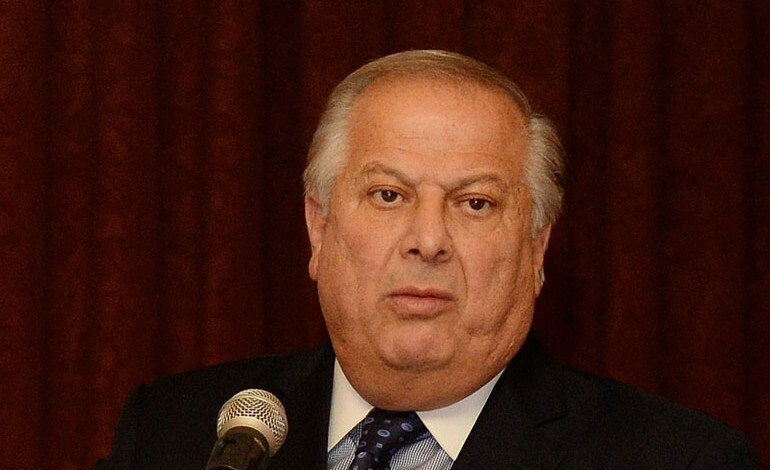 The Government of Cyprus will be represented by the Presidential Commissioner for Humanitarian Issues and Overseas Cypriots Photis Photiou. The conference is aiming to show the importance Cyprus can play as a strategic partner of the United States, in a volatile area and influence high-level administration officials who formulate U.S. policy toward Cyprus, Greece and Turkey. “Unlike last year that we were commemorating the 40th anniversary of the Turkish invasion, this year is going to become a much more tactful conference”, said Philip Christopher, the President of the International Coordinating Committee “Justice for Cyprus” (PSEKA). Among the participants of the 31st PSEKA Conference will be the ambassadors of Israel, Armenia and Egypt. “We are basically trying to continue the process of making the Republic of Cyprus a strategic ally of the United States. As we have discussed last time, is not only resolving the division and the occupation of Cyprus; we feel that as Cyprus becomes a much more important partner of the United States, the chances of removing the Turkish troops and ending the occupation become better”, Philip Christopher explained. At the opening of the conference, the participants will be briefed on U.S. policy regarding the Cyprus problem, by Deputy Assistant Secretary of State Amanda Sloat and possibly the State Department’s Coordinator for Energy Diplomacy Amos Hochstein. “We hope Victoria Nuland will be back from London to attend the conference too”, Mr Christopher added. The conference will conclude with a White House briefing by the National Security Advisor of Vice President Biden, Colin Kahl, and other NSC officials. Vice President Biden was also intended to attend, but his plans may change after the death of his son Beau Biden. “Our meeting with the State Department, the National Security Council, Vice President Biden and others that we will see, will be focused on the strategic situation of building the Republic of Cyprus as a key strategic ally of the United States; for not only anti-terrorism or anti-money laundering but for all the issues the U.S. is facing in the area. It is in the best interest of the United States to have a united and free Cyprus. That’s the message we are trying to convey”, Philip Christopher said in an interview with the “Greek News”. He told that recently the Greek American leadership has spoken to the State Department about the statements of Ambassador Koenig. “They apologized, they said their positions are the same and we are looking forward”, he added. Reaching the 41st anniversary of the Turkish invasion, the disappointment of the lack of a solution is obvious. “I know there is some type of optimism in view of the election of the new Turkish Cypriot leader Mustafa Akinci. However, we have seen this before and we know the basic problem is Turkey. The key to the solution is in Ankara and we haven’t seen enough progress from there”. Greek American leadership criticizes the Obama administration for having illusions regarding the statements of Turkey about their political will for a solution. “Unfortunately there two issues. One, that the USA has never put the appropriate pressure on Turkey, for Ankara to recognize that this was an illegal invasion and a continuing illegal occupation. Turkey has administrated over the years that there are two things that don’t change. The Kurdish issue and the Cyprus issue. The participant will also be meeting with over 45 key U.S. Senators and Members of Congress who serve on the pertinent committees and subcommittees, and others, who play a major role in policy. Recently, the House of Representatives passed a bill that includes an amendment by congressmen Cicilline and Bilirakis, that requires the Secretary of Defense and the Secretary of State to jointly submit to the appropriate congressional committees “an assessment of the military capability of the Republic of Cyprus to defend against threats to its national security, including threats posed by hostile foreign governments and international terrorist groups.” The two secretaries are to submit the joint report no later than 90 days after the NDAA is enacted. This will allow Cyprus to buy certain U.S. made arms that are necessary to defend itself. The bill is now in the Senate. “This is going to be one of our highlights”, Phil Christopher said. At the official Dinner, on Thursday, White House Communications Director and Former State Department Spokesperson Jennifer Psaki will be honored with the Athens/Livanos Award. Senate Democratic Leader-designate, Senator Chuck Schumer (D-NY) will receive the Frizis Award. Among the members of Congress that will be honored during the sessions are, Congressman Steve Israel (D-NY), Congressman Chris Smith (R-NJ) and Congressman Elliot Engel (D-NY), Senator Sherrod Brown (D-OH) and Senator Ben Cardin (D-MD).